Founded in Brittany in 2014, Wi6Labs specializes in wireless technologies that it uses to develop solutions for a high-performing Internet of Things. In January 2018, the company will attend CES at the ENGIE and Partners booth. Ulrich Rousseau, CEO and co-founder of Wi6Labs, told us about this new smart adventure. Hello Ulrich. Smart buildings, smart cities, smart agriculture, smart grids, smart factories... Is Wi6Labs a smart startup? Our job is to design and integrate LPWAN solutions for cities, farms and connected industry. We are experts in everything from the sensors to the telecom infrastructure. Wi6Labs designs and develops smart, secure, wireless and energy-efficient sensor networks for applications where getting network access is difficult, for a greener and more sustainable Internet of Things – so smart “plus” ! Tell us about your story with ENGIE. Our partnership with ENGIE began during the very first months of Wi6Labs’ existence, since we developed a proof of concept with ENGIE Lab CRIGEN. 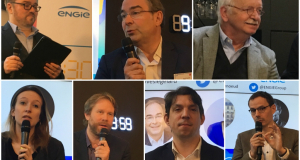 Then, in 2016, we won a call for projects launched by ENGIE Axima with the Rennes metropolitan area about innovative solutions for connected buildings. 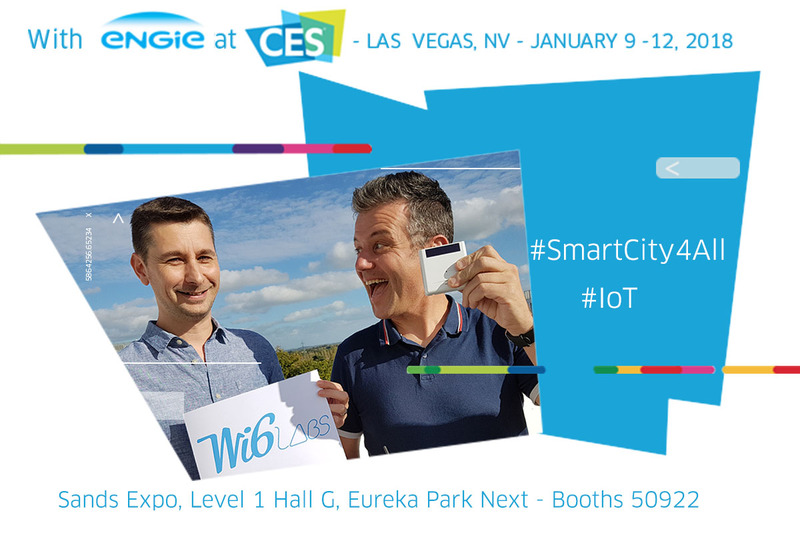 It’s thanks to the partnership with ENGIE Axima that we will be joining ENGIE at CES Las Vegas next January but also at other events like the ENGIE Innovation Corner, the Mayors and Communities Fair, etc. What will you be showing at CES? We will present a building energy management solution that uses new technologies and the Internet of Things. It has already been installed in several communities, including Saint-Sulpice-la-Forêt, a Breton village considered to be one of the smallest smart cities in the world. This solution is different from other ones on the market because it is suitable for less dense environments and difficult to access places. To illustrate what we’re talking about, we will present a project that we completed for Keolis through the call for projects. It involves monitoring and optimizing energy consumption and applications for maintaining standards of comfort in buildings (like temperature, noise, air quality) and predictive maintenance. Las Vegas is "the place to be" in January. For Wi6labs, it’s an opportunity to spread the word about what we do and to find new partners but also to highlight how rich our collaboration with ENGIE is. CES Las Vegas will also give us a place to test our Internet of Things (IOT) network solutions with an international clientele. In your opinion, what is the most important innovation ever? 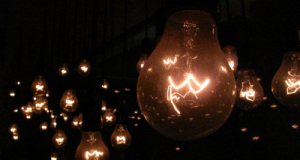 I see innovation more as a continuous and iterative process. While some inventions such as writing, chemistry or computer science have changed our world, innovation with a “capital I” is the complex alchemy that allows a technology to meet its market. DeepTech is a new model of innovation that brings together research centers, startups and businesses. DeepTech is the balance between "techno push" and "market pull". Finally: what’s the answer to the question you would have liked me to ask? Ask me "What will you pack in your suitcase"? and I’ll say “a Breton flag”. Our region is very dynamic in terms of digital innovation and we are proud and grateful to wear those colors at CES Las Vegas.